My last post, Basic Pressure-Cooker Beans, was sort of a "part 1" for this post. You can eat the delicious, healthy black beans you made in your pressure cooker as is, or you can make these homemade refried beans (of course, you can use pinto beans instead, if you want). 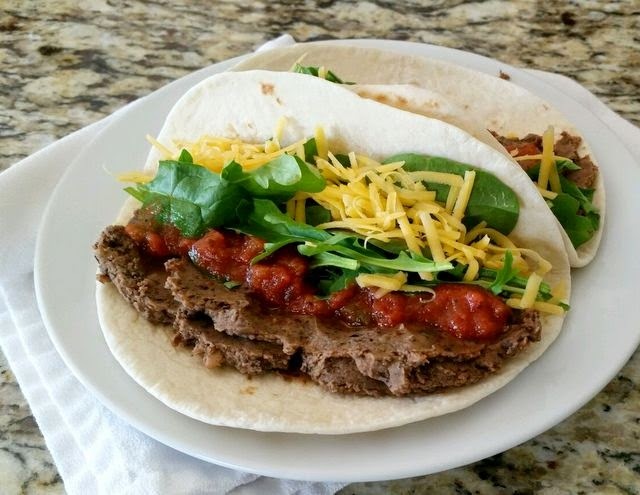 I like to make my own refried beans for many of the same reasons I like to make my own beans from dry: it costs less, I control how much salt is in them, they have a better flavor, and I don't have to wonder if the can has BPA in it. Also, I can freeze the refried beans so they can be just as convenient as canned from the store. 1. 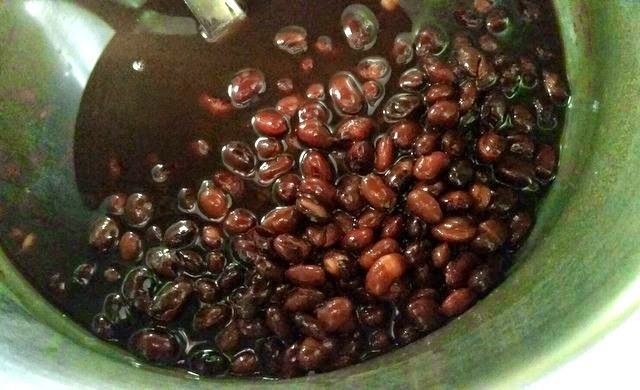 Cook the dry beans in a pressure cooker (method HERE). 2. Drain the cooked and cooled beans, reserving 1/4 cup cooking liquid. Combine the drained beans, cumin, chili powder, oregano, garlic powder and onion powder in the bowl of a food processor. Alternately pulse, scrape down the sides of the bowl, and run the processor until the beans are smooth. Add the reserved bean cooking liquid 1 tablespoon at a time to achieve the consistency you want. Makes about 3 cups of beans. Here are the reasons I like to make my own beans from dry: it costs less, I control how much salt is in them, they have a better flavor and texture, dry beans last a long time (read "forever") in my pantry, and I don't have to wonder if the can has BPA in it. Also, I can freeze the cooked beans--whole or processed smooth--so they can be just as convenient as canned beans from the store. 1. Combine the dry beans, water, and salt in your pressure cooker; put on the lid and lock it down. 2. Bring to high pressure following the instructions for your unit, reduce the heat to maintain the pressure, and cook for 45-55 minutes. Let the pressure come down on it's own. Voila! Cooked beans. Makes about 7 cups cooked beans.